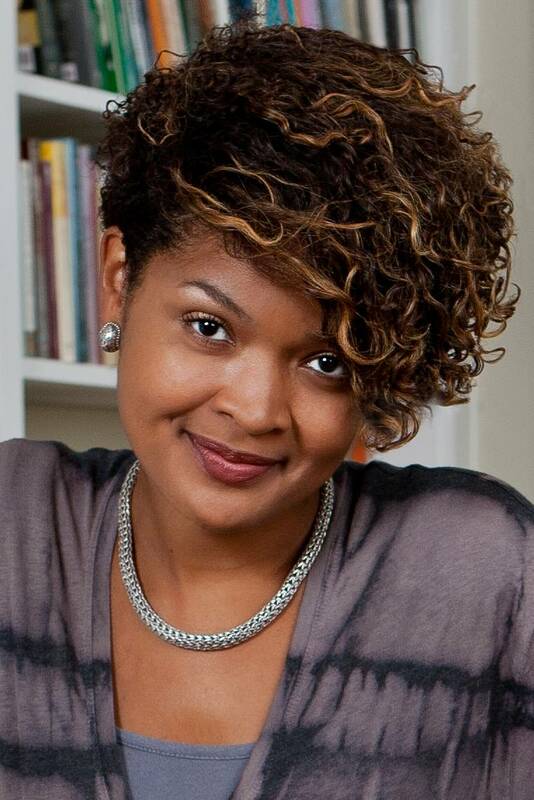 Dolen Perkins-Valdez is known for work that uses historical settings to examine complicated issues of humanity, relationships, race, and class. 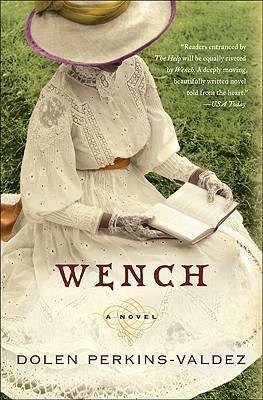 Wench, her best-selling debut novel, looked at the lives of slave women–but Perkins-Valdez took them off of the oft-used setting of the Southern plantation. Instead, we followed these slave women to a resort in Ohio, our expectations of the traditional narrative shaken. She continues to provide innovative historical narratives with Balm, which follows three distinct characters as they try to piece together their lives immediately following the Civil War. Again, Perkins-Valdez shakes things up by allowing us to witness these characters movement through a place not known for its depiction in Civil War narratives: Chicago. 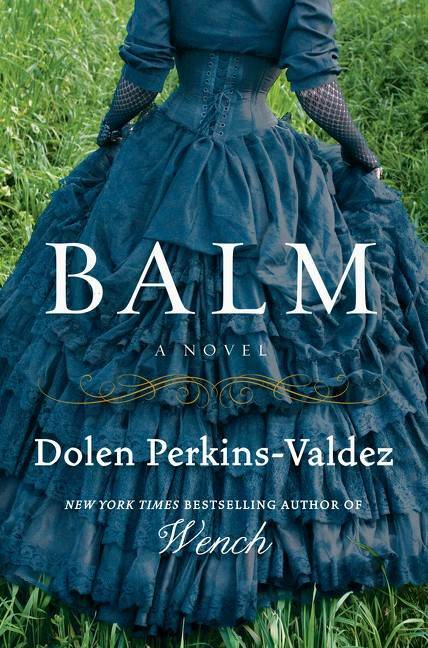 In Balm, Perkins-Valdez drops us into the bodies of her three main characters–Madge, Hemp, and Sadie–and we walk closely alongside them as they explore how to deal with loss, community, love, family, and most importantly, survival during a period in history that had shaken the nation to its core. When I think about civil war narratives and civil war stories, I think of battles and the war itself. But Balm is a Civil War story that features the specter of war more than depictions of battles and the minutiae of armies and things like that. How did you decide on this personal style of civil war narrative? Well, originally I thought that it would be more of a traditional civil war book, with the battles and everything, and that was what I set out to write. Then I wrote an early draft that my husband read and he said, “I thought you said it was a civil war novel.” And I said “It is!” He then said, “Well there are no battles in here.” I quickly realized that what I had was a really Civil War era novel and that the manuscript kept pushing toward 1866, which is the beginning of Reconstruction–you know, the year after the war ends and people are rebuilding. That was the year the book kept pushing toward and I quickly realized that it wasn’t a Civil War novel, per se. But I was interested in this chapter because my previous book, Wench, ended in 1856, and even though I didn’t want to continue with those characters, I was interested in what happened next, what the next chapter of history was like for African-Americans. That’s how I ended up here in this space. The title, Balm, works on so many different levels. As I read, I came across themes of redemption and healing, and I noticed that the title of the book fits with Madge’s profession as a healer. So was the title of the book an intentional thing? Actually, the book was titled by my agent. I didn’t come up with the title. We needed a placeholder when we turned the manuscript in and my agent said “I think we should call it Balm,” and I said okay. Then I ended up really liking the title, because it was a book about healing and reconciliation. What I was trying to do, rather than talk about the country and our national family having been split apart by this war and the issue of slavery, was talk about individual families and the rifts in those individual families. Throughout the book, those individuals who were trying to heal their families act as metaphors for the country trying to heal itself. After I had Balm attached to the manuscript I thought “that really fits, I like that.” And also, of course, you mention Madge whose work is in roots and tonics and salves and healing solutions. I actually liked seeing Madge work with the roots and create these salves and do the healing. I’m interested in that, in a non-professional way, and it was cool to examine the roots of it…pun not intended. I was interested in it, too. I started reading about how black women did this kind of thing at the time. There were so many healing women–and men–at the time because of course people weren’t going to doctors. I came upon this huge book in the library full of pictures of plants and what their traditional medicinal uses were and where you could find them, what kind of illnesses they treated. I became really interested in that. Having been raised by a Southern grandmother and my Southern mother, I really do believe in the “old folks remedies” as we used to call them, because there was truth to it. My grandmother used to give me medicine that she had mixed up herself, who knows what was in it, but then you would feel better! That’s true. And I’m glad you brought up your grandmother and your mother and the things that they did. When I was reading certain characters’ stories, I saw pieces of my Southern, African-American mother, grandmother, aunts and uncles. When I was reading Sadie’s portions and Dr. Heil’s portions, I saw the wealthy white people that my grandmother used to work for as a housekeeper. I’m wondering, how did these characters come to you? We all, as authors, build characters out of people that are closest to us, I think. All of my characters are a mix and mash-up of people that I’ve known. I really started the book thinking about Sadie, interestingly enough, because I was interested in these spirit mediums that were able to contact the dead, which was Sadie’s gift. I thought about how people were going to be visiting her in her parlor, trying to contact their dead loved ones–including freed men and women. As the manuscript evolved, I ended up with the character Madge, who doesn’t have anyone to contact on the other side, but she does end up working for Sadie as her maid. What I tried to do with the two of them was try to explore that complicated relationship–you know, how you mentioned your grandmother working for someone, that complicated relationship between the white female employer and the black female maid. At one point in the book, Sadie, the white woman, tried to befriend Madge, and it confuses Madge, because she sees the gulf between them as too wide: this woman with her pearls and her fancy dresses and her ribboned shoes is like a foreign country to her. The rift between them is not only racial, but I think maybe even more significantly, a class rift because Madge cannot understand her in that way. I was really playing around with the complexity of those relationships. You did a really good job of showing how complicated that relationship was, and it felt real. There was not a lot of closeness between those two characters. Their relationship was definitely one of business. Right, and of course it raises the interesting question–well, in Wench it raised the question of whether or not a slave owner and a slave woman could love one another. Was that [relationship] possible was the central question of that book. One of the questions of Balm is, is it possible for those two women to be friends? Once again, what I’m trying to do with these old, historical narratives is to probe at the complexity of race in this country at that moment. I love how turbulent you made these characters’ entries into their new environments. The novel mostly takes place in Chicago, and this is a setting that we rarely see in these kinds of narratives. Why did you choose Chicago as a setting for Balm as opposed to somewhere in the South–as opposed to, say, Kentucky or Tennessee? You just hit the nail on the head there. Because we rarely see these kinds of narratives in a place like Chicago, I wanted to get out of some of the hotspots of the Civil War. I didn’t want to be anywhere near a battleground. I didn’t want to be in a place that had death and devastation. But, I still wanted to be in a city that was absolutely affected by the war, and Chicago profited from the war. Cook County sent tens of thousands of soldiers to the Union Army. Abraham Lincoln was from Illinois, and after he dies his funeral procession does go through Chicago. I was very interested in Chicago as both a central and a peripheral city during this time. Once I started to delve into research of the city, I realized that it also became another character in the book. It’s so cold there, and I knew that it was cold there from a sort of intellectual standpoint, but as I got deeper into the manuscript, I realized that it was really cold. I mean, people were in a constant state of managing the weather. Because of that, I began to think of Chicago also as a place of survival. So, if this is a book about survival and healing and moving on and overcoming adversity, then Chicago is a perfect place for that, because you have to survive those winters. It wasn’t an easy thing to manage that climate at that time. One of the things that I really enjoyed about Balm was how human it was. The characters, including Chicago, are very strong in the novel. You do a good job of laying the history on, not like you’re trying to teach us a lesson, but showing that these things happened. How do you keep that real history from overwhelming the characters? The key for me always, with historical fiction, is to capture an emotion. I believe that the purpose of a historical novel isn’t always to capture necessarily a historical moment, as much as it is to capture a set of emotions from a historical moment. All of my research is a desire to see that place through that character’s eyes. People ask me, “how do you get into the heads of historical characters?” What I’m trying to do when I write is get into the bodies of my characters, and in order for me to get into their bodies I need to know what the temperature is. In the very first scene of the book, Madge has a nosebleed because of all the pollution, because of all the dirt and grime that is affecting her. She’s not used to being in a city that’s so densely populated. From the very beginning of the book, I’m thinking about people’s bodies in those spaces. I think that this book is a lot richer in historical detail than Wench, though I do think part of that is because this is a migration narrative. All of these characters move to Chicago from another place, and in migration narratives it’s always about the effects of the city on people who are used to being in a less populated area. That was my purpose, and I don’t really know if I was successful or not, but my purpose was to get into those bodies. Well, I think you definitely were successful in that. It was clear that we were in the bodies of these characters, and we felt what they felt. I wonder, what led you to historical fiction over, say, science fiction? I wish I could write science fiction! I love it. But, you know, you kind of go where your strengths lie with this thing. I just follow my nose. I have a friend who’s a painter and she paints flowers because that’s her inspiration. My inspiration is history. That’s what moves me. Can you tell me about the process of writing a historical novel? Do you research and then write, or do you do both simultaneously? How does it work? I go back and forth. I do a bit of research and then a little bit of writing, and then I go back to research. I go back to my notes as needed. But I do think that there comes a point when you’re writing a historical novel where you don’t need to go back to your notes at all, where it’s all about the story. You have that moment where you close your eyes and you know everything that you need to know. But early on, I do some research, and then I go write, and then when I get stuck I go back and do a bit of research. So it’s a sort of a back and forth project. Sort of branching off from this, I enjoyed the how you portrayed the voices of those who used to be slaves. Did you find anything, like any diary entries, to help you with the dialogue in Balm? If you’ve read the autobiographical slave narratives, that helps you. I’m really a fan of not necessarily trying to capture dialect accurately as much as I am trying to capture the sound, the general sort of cadence. I feel like if I were to capture it accurately, it wouldn’t be very readable. My idea for dialogue is just to give a flavor. Are there any kind of source texts, or recommended reading for people who are wanting to get a sort of feel of the era that you write in? There was a book, I haven’t read this book because I didn’t want to be too influenced by it, but it got a lot of attention. The Devil in the White City, is the name of the book. It’s set in Chicago around 1893, and I’ve heard that it’s a very good nonfiction book about Chicago in the 19th century that reads a lot like a novel. That’s one that’s actually on my list to read. In terms of my research, I read a really interesting historical book by a guy named Christopher Robert Reed called Black Chicago, and it was about black Chicagoans in the 19th century. So far, it’s been the only comprehensive study that I’ve seen about black Chicagoans in the 19th century. It’s very long–about six hundred pages–so a person would have to hunker down, but it’s absolutely brilliant and beautifully researched. Many thanks to Dolen Perkins-Valdez for taking the time to speak with me, and for designating me one of the homies.